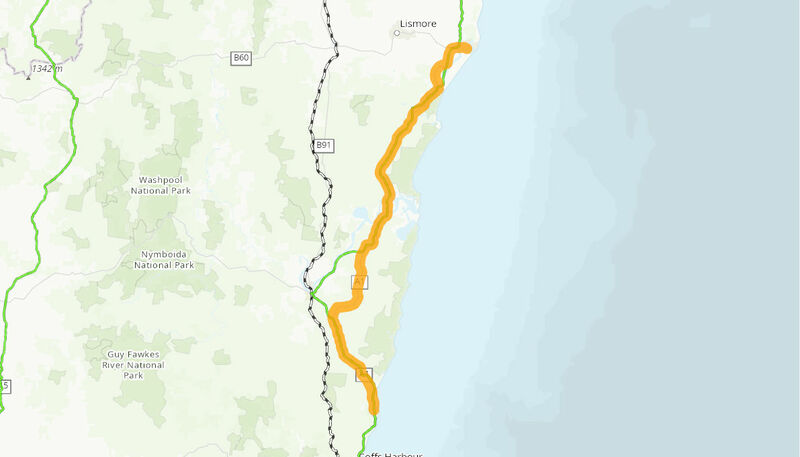 The Woolgoolga to Ballina – Planning and Preconstruction project involves a number of activities that need to be undertaken to enable the construction of a four-lane divided highway over approximately 155km between Arrawarra, north of Woolgoolga, and the Ballina Bypass. Other pre-construction activities associated with the contract to enable substantial construction to commence. Once completed the project is expected to improve safety, decrease travel times along the Pacific Highway and reduce financial costs associated with travelling along the highway through improved travel efficiency. The total cost of the Planning and Preconstruction project is $564.6 million. The Australian Government is providing $282.3 million and the NSW Government is providing $282.3 million towards the works. The NSW Minister for Planning authorised the preparation of a concept plan for the Woolgoolga to Ballina section on 10 December 2010. This was followed by the formation of an Alliance in early 2011 between the NSW Roads and Maritime Services, Jacobs Engineering Group (formerly SKM), and Aurecon to refine the concept plan and undertake a detailed environmental assessment in the form of an Environmental Impact Statement (EIS) for the Woolgoolga to Ballina section. The EIS went on display on 12 December 2012 and the Woolgoolga to Ballina project received approval from the Commonwealth Department of the Environment on 14 August 2014. AECOM Australia was awarded the contract for the geotechnical design of soft soil treatments on 19 September 2013. Golding Contractors was awarded the contract for Wave 1 works (north of Farlows Lane to Yamba Road and locations at Harwood to Chatsworth Road) on 31 March 2015. Major works were completed in February 2017. SEE Civil Pty Ltd was awarded the contract for Wave 2 works (Whytes Lane to Pimlico) on 15 April 2015. Major works commenced in November 2015 and were completed in July 2016. FK Gardner & Sons Pty Ltd was awarded the contract for Wave 3 works (Shark Creek to Maclean, Farlows Flat) on 24 March 2016. Major works were completed October 2017. SEE Civil Pty Ltd was awarded the contract for Wave 4 works (Tuckombil Canal, south of Woodburn) on 9 March 2016. Major works were completed October 2017. All soft soils works are now completed or undergoing settlement. Leighton Contractors was awarded the contract to construct Stage 2 of the Pimlico to Teven project on 20 September 2013. Major works commenced in November 2013 and the project was completed in May 2016.